We're sorry, reservation times are not available online for a party of this size on the selected day. Please call us at 512-934-7933 and we will see if we can accommodate your party. 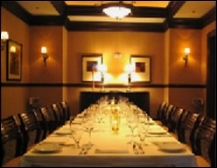 For parties greater than 11, please contact us at 512-934-7933 for assistance with your reservation. Please be sure to include your Guest Type (required by Bayside Grill). Newsletter: By selecting any of the following options, you agree to receive communications from Bayside Grill. We do not share your information with any 3rd parties. You can withdraw your consent at any time. To secure this reservation, we require a credit or debit card profile. Your credit card information is kept confidential and secure with Braintree. Payments to your card may be processed only after the date of the reservation to be booked where outstanding charges are required, including last minutes cancellations or failure to arrive at the restaurant within 30 minutes of the date and time that this reservation is booked for. 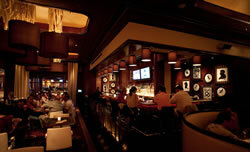 Completing your reservation authorizes Bayside Grille to process any necessary charges. Stay personally connected to Bayside Grill with your free preferences profile. You'll have convenient access to Bayside Grill's news, promos and special events! And Bayside Grill can get to know you better with automated communication. From 10:45 to 4:00 we are serving grilled artichokes as well as a pecan trout grilled over live oak topped with a homemade Worcestershire and creole mustard sauce. From 4:00 to close we have Lane snapper and crispy Cajun rock shrimp topped off with a lemon beurre blanc as well as sword fish simply grilled over live oak served with a ginger soy compound butter. We also have an 18 Kansas City style strip steak topped with a Worcestershire tarragon garlic compound butter. Our glorious indoor and outdoor spaces, designed by BH owner Terry Raley, are available for private events, so please contact us for your next important gathering. Please join us soon!